Ms. Shangarai is the Vice Chair of the Montgomery County Maryland, Committee of African Affairs and Case Manager Senior Nurse at the African American Health Program. She also serves as a coordinating member of the Constituency for Africa (CFA), African Healthcare Infrastructure Committee (AHIC) focusing on maximizing Diaspora participation in engaging and responding to the healthcare crisis in the continent. A native of Tanzania with a passion for community health, she started her career as a youth volunteer in forming a local Non-Profit entity “Kilimanjaro Women Against Aids” (KIWAKUKI) dedicated to the fight against HIV/AIDS in the Kilimanjaro region in the United Republic of Tanzania. 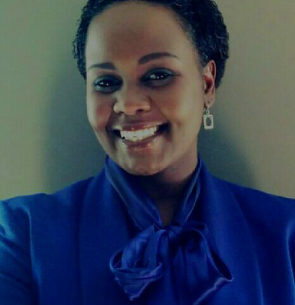 She later launched NesiWangu “My Nurse” Community Health Initiatives; an organization that utilizes Information and Communication Technologies (ICTs) to bridge health gaps in Swahili speaking communities. Since then, she has worked with local and international community based organizations, faith based organizations, universities, embassy and health care providers to provide affordable healthcare, health screening, health education, advocacy, awareness and outreach of marginalized communities within the Diaspora.